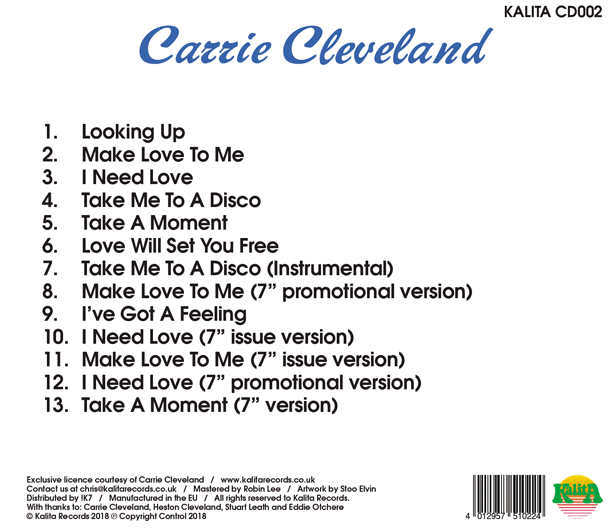 Kalita Records are proud and honoured to announce the first ever and definitive discography of Carrie Cleveland. 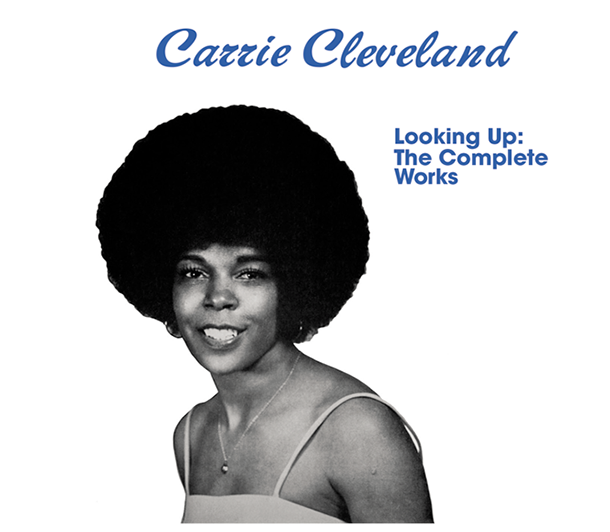 Here, we offer on CD her 1978 album ‘Looking Up’, plus both her issue and promotional versions of her single ‘Make Love To Me’, and a previously unknown sweet soul single ‘I’ve Got A Feeling’. Accompanied by a mini-poster with extensive interview-based liner notes and never-before seen photos. 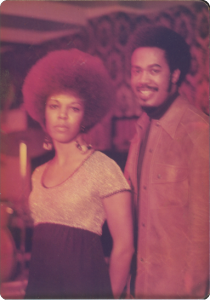 Born in Shreveport, Louisiana, on 4th January 1941 and raised in Oakland, California from the age of seven, Carrie Cleveland’s upbringing was, as she notes, “typical for a household full of kids”. Raised as part of a close-knit family from the south and surrounded by nine brothers and sisters, her home was an environment of constant happenings and noise. Yet, as she recalled to me in January 2018, music was not in fact her main focus or ambition during her childhood or adolescent periods. Carrie’s musical aspirations only truly developed later after meeting her future husband Bill Cleveland in 1961. As she notes, “I always enjoyed music, but I didn’t really start until I met my husband Bill”. It is this tale of a musical partnership between a visionary husband and a talented wife with an extraordinary voice that it is our honour to divulge below. Carrie and Bill met in 1961 by chance at a Christmas party hosted by a cousin of Carrie’s. It had been intended that he meet one of Carrie’s sisters, however, this was not to be. As Carrie recollects, her sister was ill and therefore her cousin “directed him towards me and we fell in love. It was love at first sight. We had a lot in common – he played music and I loved music and we worked from there”. As well as being a probation officer during the day, Bill was a multi-disciplined musician, performing mostly on keyboard but also able to play the drums and arranging all of his compositions. He had started a local band, The Creative Set, before meeting Carrie, and she joined as the singer, which allowed them to use it as an avenue through which to showcase both of their musical talents. 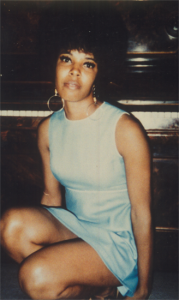 As she fondly remembers, Bill “always wanted to have a band and he liked the way that I sang so we started the group”. Sometimes it was just the two of them, and at other times they would invite other musicians such as Victor Green or local drummers or bass players to join them on stage. 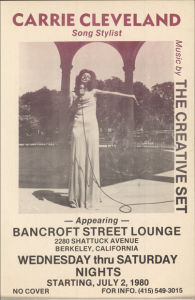 They toured the Oakland Bay and San Fransisco areas, “playing at all the local clubs” and small venues in the vicinity, such as Bancroft Street Lounge, Ruthie’s Inn and Pasand Lounge in Berkeley, and The Claremont Hotel in Beverley Hills. Carrie recalls that at the time they would mostly perform cover songs by contemporary soul and R&B artists such as Carla Thomas, BB King and Bobby ‘Blue’ Bland. 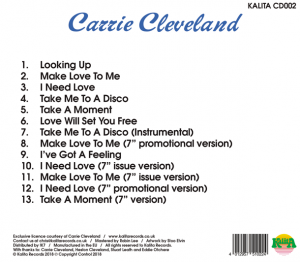 A setlist that Carrie has been able to locate shows how in 1981 they were performing both their original compositions such as ‘Love Will Set You Free’ and ‘Take A Moment’ with other popular songs such as Earth, Wind & Fire’s ‘Let’s Groove’, Stephanie Mills’ ‘Never Knew Love Like This Before’ and Luther Vandross’ ‘Never Too Much’. However, performing in front of an audience did not come naturally to Carrie at first. Indeed, she recalls that “during my first show I was so nervous my knees were knocking as I was singing and I heard someone in the audience say she can sing but look at her legs shake”. This anxiety continued throughout her musical career, and as she candidly notes, “I never got over from being nervous. I just got used to it.” Nevertheless, the group was received positively, so much so that at one point they had even intended to tour internationally to Japan, but “at the time I had my son Heston and I didn’t want to leave him in the care of someone else”. Instead, they “decided to stay in the States and… ended up making the album”. 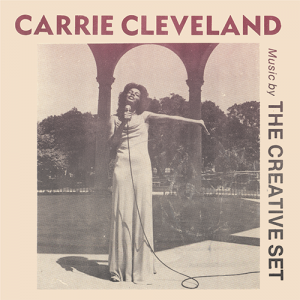 Carrie and Bill recorded ‘Looking Up’ in their backyard garage studio in the first half of 1978, with Bill writing, arranging and playing the instruments whilst Carrie provided the lead vocals. 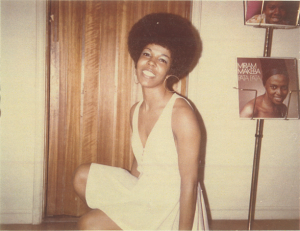 She recalls that she was influenced by various soul and disco heavyweights such as Dianne Warwick, Diana Ross and The Stylistics, however her music’s homegrown private-press nature truly stands it out from the rest. Indeed, the album’s left-of-centre offering, with Bill’s performance on the keyboard and his unusual arrangements working with Carrie’s distinctive voice marks it out as a truly great disco-soul masterpiece. The singles were Bill’s idea to help promote Carrie as an artist and were used as a promotional drive for the local area. The most well-known and sought-after of her singles is the promotional release of ‘Make Love To Me’, also recorded in 1978, which lacks the organ that appears on the later issue copy and which also differs from the LP version. Carrie cannot recall why the alteration was made, only that “it was what Bill wanted to do [as]… he handled all the musical arrangements”. However, she can remember that in total five hundred copies of the singles were pressed, as well as one thousand copies of the album. Carrie cannot remember if the single ‘Take A Moment’, backed with ‘I’ve Got A Feeling’, was ever actually released, but if it was, it seems to have been lost into total obscurity. Although the former song also appeared on ‘Getting Up’, here the single version is almost a minute longer. In addition, the latter track is a fantastic sweet soul single which was for an unknown reason never featured on the album. 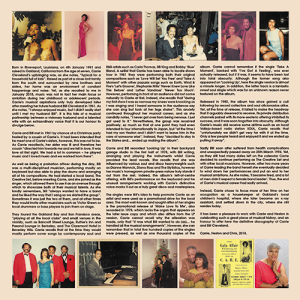 Released in 1980, the album has since gained a cult following by record collectors and soul aficionados alike. Yet, at the time of release, it failed to make the headway that it arguably deserved to receive. Its private distribution channels paired with its more-esoteric offering inhibited its success, and it was soon forgotten into obscurity. Although Carrie’s music did receive some airtime such as on local Vallejo-based radio station KDIA, Carrie recalls that “unfortunately we didn’t get very far with it at the time. Only a few people heard and enjoyed it and we ended up putting it away”. Sadly Bill soon after suffered from health complications and unexpectedly passed away on 25th March 1994. Yet, as they still had many dates left on the calendar Carrie decided to continue performing as The Creative Set and with other local musicians. However, after two more years of Carrie leading the band herself she eventually decided to wind down her performances and put an end to her musical ambitions. As she notes, ‘I became tired, and a lot of men didn’t respect a female band leader’. Thus, the end of Carrie’s musical career had sadly arrived. Instead, Carrie chose to focus more of her time on her occupation as a housekeeper at Oakland’s local children’s hospital, where she later became an x-ray assistant, and settled down in the city, where she still resides today. It has been a pleasure to work with Carrie and Heston in celebrating such a great piece of musical history, and an honour to offer here the definitive discography of Carrie and Bill Cleveland. Carrie, Heston and Chris, 2018.